FinLantern (managed by “The Lantern” Research SA) is a fast-growing international network founded in 2009, with a database of 120,000+ finance professionals (Financial Analysts, Economists, Portfolio Managers, Corporate Finance Advisors, Traders …) from all over the world. The network aims to support its members’ activities and to increase their visibility in the international financial community. FinLantern’s logo is particularly close to the heart of the company’s founder, Riccardo Esposito, because it historically symbolises the town of Genoa (Northern Italy), where he was born in 1969. 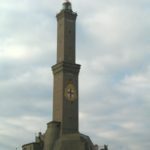 Traditionally, the lighthouse in Genoa was nicknamed ‘La Lanterna’; nowadays this moniker often references the town itself. A lighthouse is a guiding light for vessels and seamen. Similarly, Financial Professionals at FinLantern aim to guide investors through the ‘uncertain waters’ of the financial markets. Granted, this is not an easy mission to accomplish. It requires, in addition to the requisite skills and technical competencies, a certain degree of firmness, integrity and responsibility. Our members, therefore, should be aware of the importance of their own work and must bear in mind their personal mission to maintain a clear and independent point of view with their analyses. Notably, our Latin motto is also a reminder of how much the lighthouse is essential to sailors, not only as a guide in good weather, but most importantly during a storm, (“sicut in quiete et in procella”). Likewise, we believe that good financial advisory is essential to the investor at any time, but most critically during periods of uncertainty, downturns or financial crisis. This is the role that FinLantern network’s members know they must undertake and that every day should be carried out with firmness, integrity and a sense of responsibility… just like our “Lantern”. The Lantern, symbol of Genoa, ancient seafaring Republic, and one of the most important lighthouses of the Mediterranean Sea, is a 77-metre-high tower, made of two blocks, square in section, roughly of the same height, and both with a projecting terrace. Built on San Benigno rock of 40 metres of height, the top of the Lantern stands therefore at 117 metres above the sea level. Its light is visible from more than 50 kilometres (27 nautical miles) away in good weather conditions.The Lantern has welcomed vessels and boats and guided them into the harbour for centuries. The Lantern, as we see it today, was built in 1543; however unofficial sources date back to 1128 the building on this site of the first tower intended to assist navigators. This was almost the same height and size of the present “Lanterna”, but for three orders of merlons. On The Lantern body is represented the coat of arms of Genoa (the St George’s cross). Finally, just a curiosity: in 1449 Antonio Colombo, Cristoforo Colombo’s paternal uncle, was appointed as one of the Lighthouse keepers.